Home > KMS	> kMS ver. 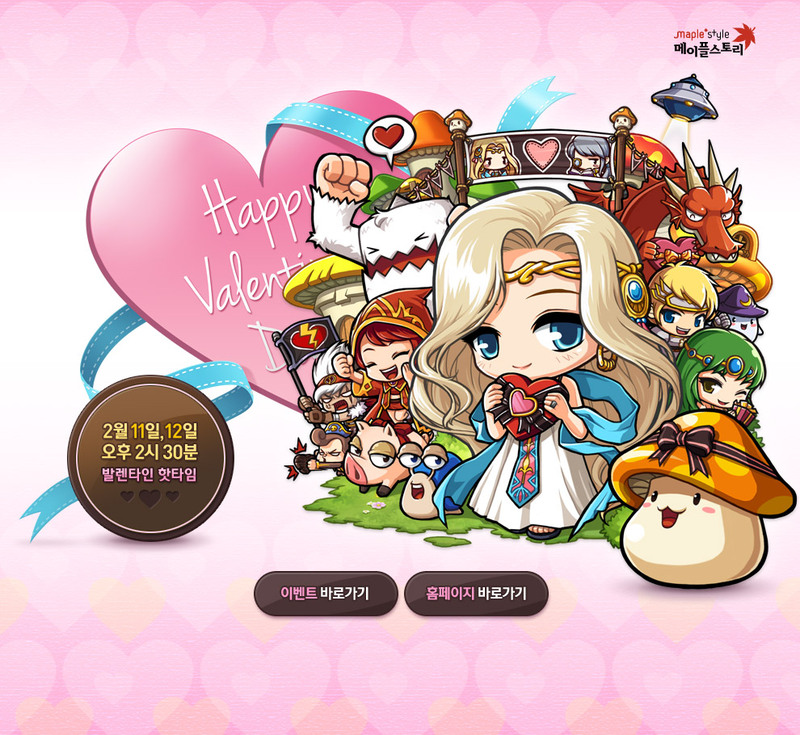 1.2.152 – Maple Valentine’s Day! 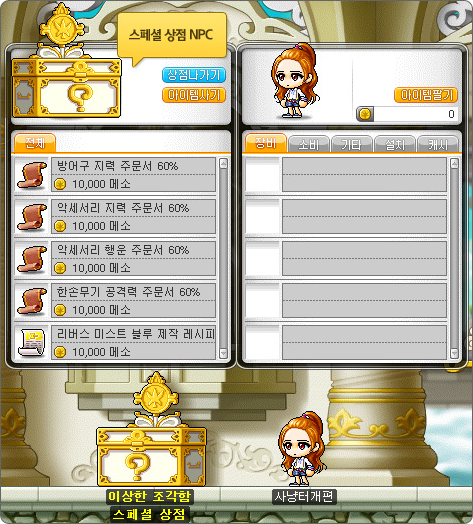 kMS ver. 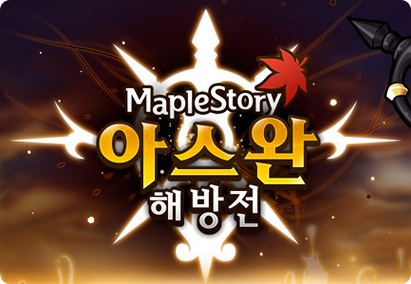 1.2.152 – Maple Valentine’s Day! I know there wasn’t really a patch (explaining the same patch version as my last post) but it just feels so weird not having it there! Anyways, the Maple Valentine’s Day events have begun! Did you notice Cannon Shooter in the above picture? I guess he’s tired of being heartbroken! Monsters will now be dropping Sweet Chocolates, and you can collect 100 to trade in to Cassandra for one Justice Coin. Cassandra will give you a Valentine Chocolate to hold for 30 minutes, after which it becomes the Valentine Love Chocolate! You get a Justice Coin and the Valentine Love Chocolate as your rewards. 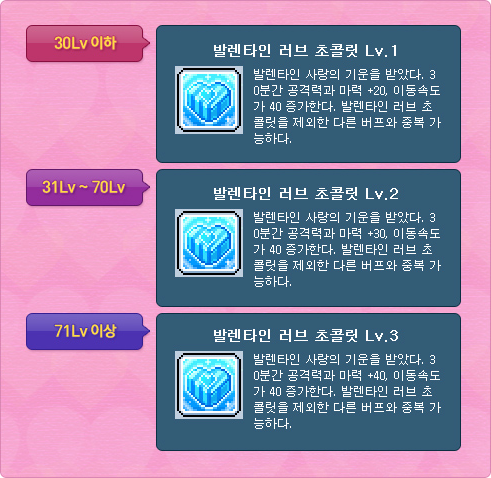 You can use the Valentine Love Chocolate to receive a buff based on your level! Levels 30 and lower receive 20 attack and magic attack, and 40 speed. Levels 31~70 get 30 attack and magic attack, and 40 speed. Levels 71 and over get 40 attack and magic attack, and 40 speed! Finally, monsters around your level will drop the Valentine Lovely Box, which gives a lot of different prizes! By the way, for clarification about the Strange Box, the items it sells are random! This means that no, you won’t see a White Angelic Bless every time you find the box. Plus the stock is limited and you can only buy one of each item. Similarly to the Legend update, Phantom cannot be created after March 5. Also, the Aswan Liberation War will be closed on that day, the World Matches and all 4 modes will be combined into one. You can continue to participate and receive Honor and Coins, but you will not be facing any other worlds. Perhaps Aswan will come back later with a special surprise? Maybe a boss? Cheated to a pointless rank? First!!! Kid in Middle School!!!! How do you know KitKat isn’t in middle school??? Im in 8th grade :O im still in middle school..
omg, stop fighting for first 2nd and what not! C’mon, Max! You can get those 8 levels! Good luck, we’re all cheering on for you! 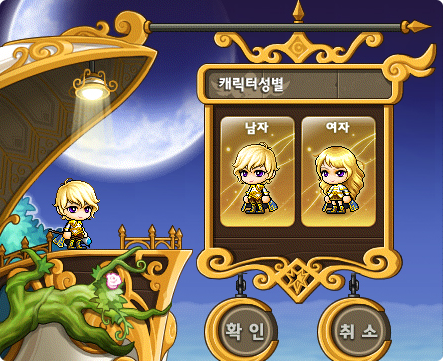 Such a small event…Though really I find this a bit better than GMS’s one. As well as Phantom’s creation limitation and removal of Aswan world-wide battle content. Wonderful website, really informative and engaging. Why exacly you cant create Phantom later? Balancing/Nerfing? I actually have no idea, I guess to create a sense of exclusivity and excitement whenever they bring them back. OH that is you?? I DIDNT KNOW THAT. Inkwell’s Secret Diary #8 – He’s Back! 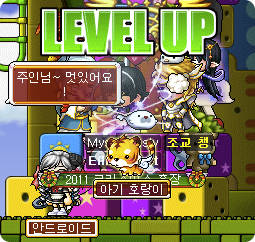 kMS ver. 1.2.152 – Cross Hunter & Mu Lung Dojo Reorganizations, & Golden Temple!